Here is a practical guide on when you want to use APs with internal antennas vs. APs with external antennas. 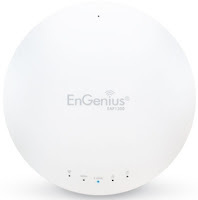 For the purpose of this blog, I'll be using two indoor APs, the EnGenius EAP1300 (internal antenna, ceiling mount) and the EnGenius EAP1300EXT (external antenna, wall or ceiling mount) for demonstrative purposes. The content, however, applies to any vendor that has APs of comparable specifications with both internal and external antennas, for both indoor and outdoor applications. Antennas serve to shape and focus the radio signal in particular directions. 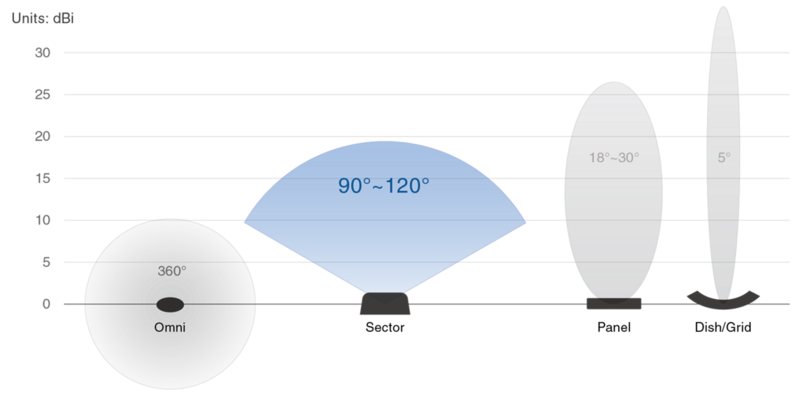 Antennas, therefore, act like a lens for RF frequency. Every radio system (Wi-Fi, cellular, cordless, walkie-talkie, etc.) requires antennas on both the transmitter and receiver to shape and focus the signal. Antennas are passive devices and work in both directions - i.e. an antenna equally increases the radio's ability to talk (transmit) and to hear (receive). The signal gain (i.e. strength) of an antenna is measured in "dBi", or decibels relative to an isotropic radiator. An isotropic radiator is defined as a point-source of RF signal where the energy radiates spherically equally in all directions. Such an antenna cannot physically be built, but it serves as a useful mathematical reference, as such an antenna has no gain, or a gain of 0 dBi. Antenna gain, therefore, is based on their deviation from a perfect sphere. A typical "rubber duck" dipole omni-directonal antenna typically has a doughnut-shaped pattern with the antenna sticking through the hole of the doughnut. As this shape is "roughly spherical", these antennas typically have fairly low gain (i.e. 2 - 3 dBi). The gain of such an antenna can be increased by lengthening it. When doing this, you are increasing the energy propagated horizontally by stealing it from the energy propagated vertically. One can also make directional antennas, which serve to focus the bulk of the RF energy in one particular direction. Such antennas have very high gains as they deviate dramatically from a perfect sphere. Examples of increasing antenna gain. Top: Low gain dipole. Middle: High gain dipole. Bottom: High gain directional. 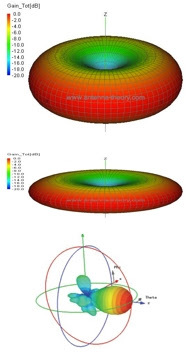 Just as antenna designers cannot build a perfect sphere, they cannot build a perfect cone. As a result, there is some amount of RF energy that is projected and received in the other directions. These are known as backlobes and sidelobes, as seen in the figure above. If two neighboring antennas are placed very close together, they can interfere with each other, thus a certain amount of separation distance (at least a few feet) is generally recommended when placing directional antennas next to each other. The beamwidth is defined by where the energy of the antenna drops by 3 dBi (i.e. half) of the peak. Thus, while the gain of the antenna is less beyond this beamwidth, it is also generally not zero, which needs to be accounted for in Wi-Fi design. There are various types of antennas that can be constructed, as shown below. Examples of different antenna types, with their typical potential for beamwidth and gain. 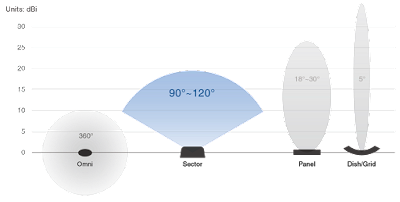 Like lenses, antennas are tuned to work at particular frequencies, as the length of the element is a function of the operational wavelength. In Wi-Fi, this means that you will often see separate 2.4 GHz and 5 GHz antennas; these may look identical on the outside (i.e. the plastic radome that covers the antenna), but are actually different on the inside. Some antenna manufacturers are able to make "dual-band" antennas that work at both 2.4 GHz and 5 GHz frequencies, though such dual-band antennas generally require a compromise on the gain of the antenna for each frequency. An indoor ceiling mount AP with internal antennas is generally designed to be mounted on a ceiling, with most of the antenna energy being projected outwards (horizontally) and downwards (vertically). Such a device can naturally be mounted on the wall, but then the area of coverage changes to project most of the energy both up and down (vertically) and outwards primarily in one direction (horizontally). Since the internal antennas are fixed, the area of coverage is also fixed based on how the AP is physically mounted. Differences in coverage area when mounting an AP on a ceiling vs. on a wall. For most indoor Wi-Fi deployments in environments such as schools, apartment buildings, hotels, offices, etc., the built-in internal antenna of a ceiling mount AP, like the EnGenius EAP1300 depicted here, provides sufficient coverage for the desired area. It also satisfies aesthetics constraints, as people generally do not like seeing external antennas, especially in most indoor environments. Additionally, for 802.11n/ac features like MIMO to work properly to achieve faster speeds, the relative alignment of the antennas to each other is critical. For an AP with internal antennas, this alignment is fixed at the factory and cannot be altered. Naturally, however, when you select an AP with an internal antenna, you lose the ability to change that antenna in your design, such as providing larger areas of bi-directional coverage in particular directions. When an AP has external antennas, the antennas can naturally be adjusted to fit the coverage area. A vendor will typically supply omni-directional dipole antennas. In this example, both the EAP1300 and EAP1300EXT include 5 dBi antennas. Accordingly, the gain is the same, and the effective coverage area will be "approximately equivalent" for both models when configured with the same transmit power settings. I say "approximately" because there will be some subtle differences in the antenna pattern between the internal and external antennas. As mentioned above, aesthetics are often a reason to not go with external antennas. More importantly, however, the MIMO capabilities of 802.11n/ac take advantage of phase offsets between the antennas. This necessitates that the multiple antennas are at a fixed separation distance from each other so as to be out of phase with each other. With internal antennas, this phase offset is fixed at the factory and cannot be changed. For external antennas, the relative alignment of the antennas can be easily altered, either during install or during the AP's normal lifecycle, which will corrupt the MIMO performance and therefore the ultimate performance of the AP. 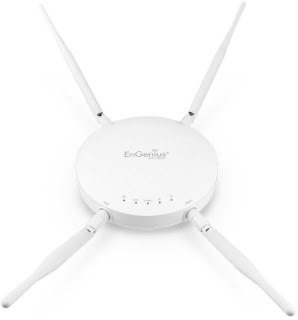 The primary advantage of an AP with external antennas, such as the EnGenius EAP1300EXT, is that you can replace the included antennas and use either higher gain omni-directional or directional antennas. The antenna that you select will be highly dependent on the particular application. Typically, external antennas are useful for applications where additional range is critical in a specific direction, such as when covering warehouse aisles or an outdoor area with limited AP / antenna mounting options. In such applications, external sector or patch antennas are usually suitable. For MIMO APs, sector and patch antennas also have their individual antenna elements pre-aligned and fixed by design internally, thus meeting both aesthetic and MIMO constraints. I generally only recommend using an AP with external antenna ports in cases where the dipole antennas packaged with the AP are NOT actually going to be used, but instead are going to be replaced with an external directional antenna, such as a sector or patch. If omni-directional coverage is the requirement, APs with internal antennas are typically the most suitable. Security researchers have discovered a weakness in the Wi-Fi Protected Access 2 (WPA2) protocol that is used in all modern Wi-Fi networks. A malicious attacker in range of a potential unpatched victim can exploit this weakness to read information that was previously assumed to be safely encrypted. The vulnerability is within the Wi-Fi IEEE 802.11 standard itself, and is therefore not unique to any particular access point or client device vendor. It is generally assumed that any Wi-Fi enabled device is potentially vulnerable to this particular issue. WPA2-AES security consists of both authorization and encryption. The authorization step is used to determine whether a particular client is allowed to access the wireless network, and comes in two flavors, Personal and Enterprise. In WPA2-AES Personal, a pre-shared key or passphrase is used to provide the essential identifying credential. In WPA2-AES Enterprise, the Extensible Authentication Protocol (EAP) is used to validate the client credentials against an external RADIUS or Active Directory server. In either the WPA2-AES Personal or WPA2-AES Enterprise scenario, once the client’s authorization credentials are validated, a unique set of encryption keys are established between that particular access point and that particular client device, so as to encrypt the traffic between them. This encryption process is done via a four-way handshake, where particular temporal (i.e. temporary) keys are passed back and forth between the access point and the client device so that each can derive the appropriate unique encryption key pair used for that connection. The security researchers discovered that they can manipulate and replay the third message in the four-way handshake to perform a key reinstallation attack (KRACK). Strictly speaking, each temporal key that is passed in the four-way handshake should only be used once and never re-used. However, in a key reinstallation attack, the attacker pretends to be a valid access point and tricks the client device into reinstalling a temporal key that is already in use, serving to reset the transmit and receive packet numbers. For WPA2-AES, the attacker can then derive the same encryption key as the client device, and thus decode upstream traffic from the client device to the access point. For the older (and less secure) WPA-TKIP, the attacker can go even further, and potentially forge and inject new packets into the data stream. For an attack to be carried out to take advantage of this vulnerability, it must be done by a malicious actor conducting a man-in-the-middle attack (i.e. pretending to be an AP on your network and serving to be a relay between the client device and the legitimate wireless network). As the issue occurs on client devices, the first step for any network operator is to check with your client device manufacturers for security patches and updates and apply these updates as soon as they are available. This particular vulnerability has no direct impact on any APs operating in “access point” mode. However, access points that are being used as client devices (i.e. APs operating in “client bridge” mode) or any access points that are being used for point-to-multipoint communications (i.e. APs operating in “WDS bridge” or “WDS station” mode) are potentially impacted by this vulnerability in the IEEE 802.11 protocol. Furthermore, some advanced applications and features, such as mesh networking and fast roaming (i.e. 802.11r), may also be potentially vulnerable to this issue. Access point vendors are currently actively investigating the impact of this vulnerability across all of the products in our product portfolio, and will be issuing firmware releases in the coming days and weeks to address this issue. In the interim, continue to use WPA2-AES Personal or WPA2-AES Enterprise for network security. Do not use WEP and do not use WPA-TKIP, as the vulnerabilities of those deprecated security protocols are significantly more serious and easier to execute by a malicious attacker. The website https://www.krackattacks.com/ provides a detailed summary of the issue along with links to the research paper and tools detailing the vulnerability. When we build networks, we need to allocate the available bandwidth amongst the client device population in, hopefully, a reasonably fair and equitable manner such that all users are happy (or at least not complaining). We use bandwidth throttling for this purpose. Without bandwidth throttling, one or two abusive users could use applications like BitTorrent and consume the overwhelming majority of the available Internet bandwidth, leaving very little bandwidth for all of the remaining users on your network. Per-Subnet/VLAN Bandwidth Throttling: This limits the aggregate maximum amount of internet bandwidth that all client devices on the subnet / VLAN can consume at one time. By means of a demonstrative example, let’s assume we have a subnet / VLAN with 5 client devices connected. If the bandwidth throttling is 10 Mbps / 10 Mbps per user, then each user could potentially consume 10 Mbps / 10 Mbps simultaneously, making the total potential consumption the sum, or 50 Mbps / 50 Mbps. Alternatively, if the bandwidth throttling is 10 Mbps / 10 Mbps per subnet / VLAN, then all users on that subnet / VLAN have to share a 10 Mbps / 10 Mbps bandwidth allocation, meaning each user would get 2 Mbps / 2 Mbps on average, and this average would decrease as more users connect to that VLAN / subnet. In general, per-user bandwidth throttling is what you want in most practical circumstances. Obviously, if there are too many users and/or the allocated bandwidth per user is set too high, you eventually run out of Internet bandwidth. So how do you decide what limits are appropriate? It ultimately depends on the type of network you are operating (i.e. its requirements) and the total amount of Internet bandwidth you have available (i.e. its constraints). However, this can be treated quantitatively by using an oversubscription ratio. Thus, as a service provider, I do not need to supply the additive sum in terms of bandwidth (i.e. # users * promised bandwidth per user), but rather some fraction thereof. That fraction defines the oversubscription ratio. Unfortunately, setting the oversubscription ratio is an empirical exercise, and over time, the oversubscription ratio tends to decrease as more devices, each consuming more bandwidth, are connecting to your networks. In the pre-smartphone days, a 30:1 or even 40:1 was common for most wired / wireless networks. The common oversubscription ratio I use for regular network usage (e.g. hotel, apartment building, etc.) is 20:1. This would mean that if I promised 200 users each a 10 Mbps / 10 Mbps data rate (and throttled them each to that rate), I could get away with only providing a 100 Mbps Internet bandwidth connection. The math is as follows: 200 users * 10 Mbps/user * 1/20 = 100 Mbps. At any instant in time, the average consumption would be 10 Mbps/user / 20 = 500 kbps per user. In reality, some are obviously consuming more, while others will be consuming less (even 0). For student housing, which is fairly heavy network utilization, I typically use a 10:1 oversubscription ratio. 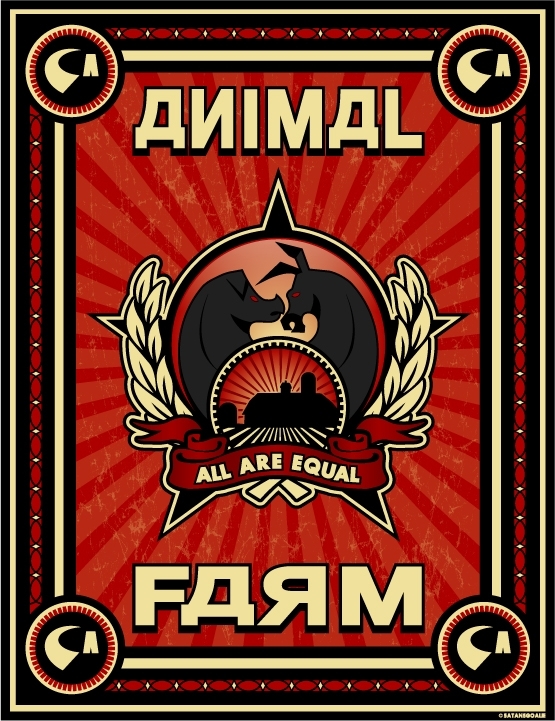 For larger high density environments, (e.g. conference centers, event spaces, etc.) you will have a few devices that are doing video streaming, but most attendees will be connected but are not likely to be heavily utilizing their devices. I therefore typically use a 15:1 oversubscription ratio. In reality, one is generally constrained by the total amount of bandwidth available, as that is the most expensive part of your network. Thus, the real calculation is to determine the appropriate bandwidth throttling per user that should be used. To determine this, one needs to know the peak number of expected users and the bandwidth available. As an example, let's assume an event space where we are expecting 500 users and have a 300 Mbps / 300 Mbps Internet circuit available. Using the 15:1 oversubscription ratio, for 500 users this comes out to a sustainable average service level of 9 Mbps (i.e. 300 Mbps / 500 users * 15:1 oversubscription = 9 Mbps / user). 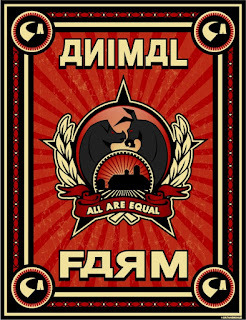 Of course, in reality complex networks are an Animal Farm (i.e. while all client devices are equal, some client devices are “more equal” than others). Thus, different classes of users will require different levels of service. 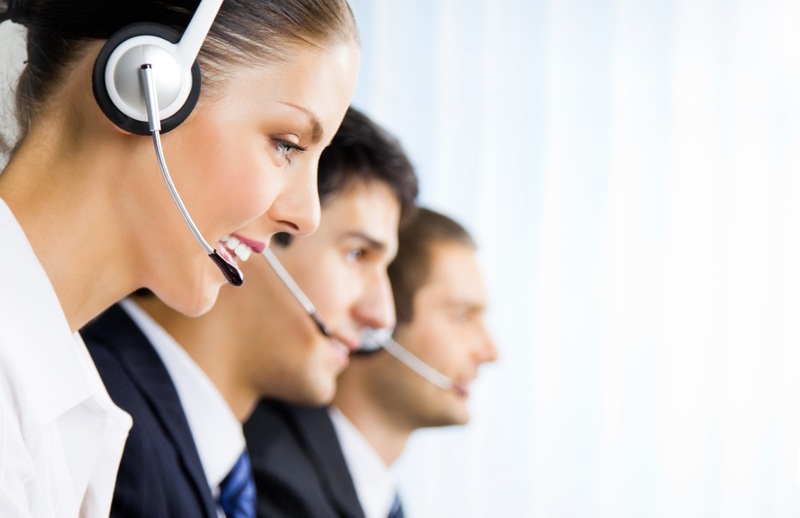 In most commercial environments, it is vitally important to operations that they have sufficient bandwidth available, though they usually represent a small fraction of the total number of clients. This is one very good use of having multiple VLANs / subnets, as you can put your different classes of users on to different VLANs, and then allocate bandwidth both per VLAN and per user accordingly. Where operations activity is critical, we need to provide this small but more important operations segment of the client device population a higher per-user bandwidth allocation, and give the (proletariat) visitors a lower per-user bandwidth allocation. It is also useful to have two layers of bandwidth throttling. The first layer is bandwidth throttling per VLAN / subnet. For example, limit the guest network to 80% of the total bandwidth, ensuring that the staff / operations network(s) will always have access to at least 20% of the Internet bandwidth, no matter how crowded the guest network becomes. The second layer is bandwidth throttling per user, to ensure that no abusive user on any VLAN / subnet can take up all of the bandwidth allocated to that VLAN / subnet. The short answer: -40 dBm to -50 dBm for optimal performance. This RSSI is readily achievable over distances of up to approximately 2500 ft when using high-gain directional antennas on each end. For 802.11ac 2x2:2 APs, measured data throughputs of about 350-400 Mbps can be achieved with 80 MHz channels, when the RSSI of each link is consistently in the -40 dBm to -50 dBm range. If the RSSI is too strong (i.e. > -35 dBm), the electronic amplifiers in the AP start to get saturated and data throughout will actually decrease. This generally only occurs in very short distance shots (< 50 feet), and in those instances we recommend turning down transmit power to minimum and, if still necessary, purposely misaligning the antennas. If the RSSI is too weak (i.e. < -70 dBm) the link speed will be very slow (low SNR leading to low MCS rates and slow speeds). In the presence of any interference, the wireless backhaul link itself can often become unstable. A signal leaving a transmitter experiences free space path loss (FSPL), which is a geometric spread of the RF energy as it travels away from a transmitter; the further away the receiver is from the transmitter, the more the energy from the transmitter has spread out, so the less amount of energy is seen at the receiver. The FSPL goes as the square of the distance between the transmitter and receiver. Increasing the gain of the antennas at either (or both) ends of the wireless link help to focus the transmission energy and/or the receive sensitivity in a particular direction, allowing the distance to increase between the transmitter and receiver. Hence, for point-to-point wireless backhaul applications, you always want to use high gain directional antennas on both ends of the link (such as the integrated 19 dBi antenna on an EnGenius EnStationAC) to maximize the practical link distance and speed. Based on these formulas, a point-to-point link utilizing EnGenius EnStationAC access points could achieve a -50 dBm RSSI on each end for a WDS bridge wireless link length of approximately 2500 feet. This blog post provides guidelines on best practices for configuring and deploying wireless backhaul on Wi-Fi networks, and goes through the differences between and appropriate scenarios for client bridges, repeaters, WDS Bridge links, and mesh networks. In a conventional wireless network, each access point (AP) requires a wired Ethernet connection to provide backhaul to the wired network infrastructure and ultimately the Internet. In some environments, however, it is either impossible or prohibitively expensive to run an Ethernet cable to each AP. In such cases, Wi-Fi itself can be used to provide wireless backhaul from the AP (or other network appliance, such as a remote IP camera) to the wired network. 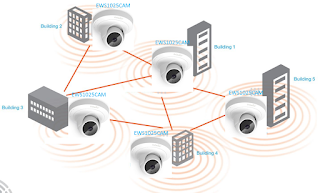 Each Wi-Fi backhaul link is referred to as a hop, and it is possible to have a chain of multiple hops between the remote wireless AP to the root wireless AP that has a wired connection to the network. There are multiple options for providing Wi-Fi backhaul to the remote APs. Naturally, each option has both benefits and limitations. Most critically, each wireless hop introduces latency, which adds in a linear fashion with the number of hops. Repeaters and mesh also inherently lower with throughput and user capacity, often as a square of the number of hops. It is critical to understand your technical requirements and constraints, as well as the benefits and limitations of each wireless backhaul option, when designing a Wi-Fi network and selecting a particular Wi-Fi backhaul approach. An access point operating in Client Bridge mode provides Wi-Fi connectivity for a wired client device. A Client Bridge is intended to connect an individual wired client device to a Wi-Fi network. This is depicted in Figure 1. Figure 1: Example of a network utilizing a client bridge. When multiple wired client devices are connected through a single Client Bridge, they share the same MAC address on the network, namely the WLAN MAC address of the Client Bridge itself. The multiple wired client devices can still be configured with different Layer 3 static IP addresses, and each wired device may or may not be able to obtain an independent Layer 3 DHCP address, depending on the DHCP server. Best Practice: When using an AP in Client Bridge mode, only connect one wired client device. For typical applications, Client Bridge mode is only utilized on single-band APs. 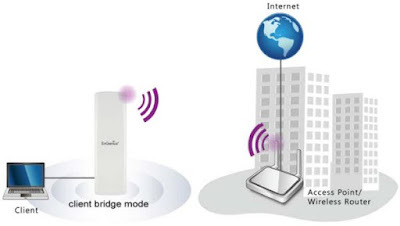 For dual-band access points, one radio (typically 5 GHz) will be configured to operate in client bridge mode, while the other radio (typically 2.4 GHz) will be used for providing Wi-Fi connectivity on an independent SSID to wireless client devices. Client Bridge mode is generally only available on standalone APs, meaning that each AP must be configured individually and cannot be managed or monitored from a centralized controller. Client Bridge mode is available on all EnGenius® single-band Electron™ and EnStation™ access points, as well as dual-band APs in the Electron™ ECB series. An access point operating in Repeater mode provides both Wi-Fi connectivity to client devices as well as providing a wireless backhaul connection to one or more wired APs. This is depicted in Figure 2. Repeaters are intended for very small networks (e.g. home environments), where individual repeater APs are used to fill in particular coverage gaps. Individual client MAC addresses are preserved, though the VLAN (if any) is defined by the main access point’s SSID that is being repeated. Figure 2: Example of a network utilizing a wireless repeater. For dual-band access points, one radio (typically 5 GHz) will be configured to operate in repeater mode, while the other radio (typically 2.4 GHz) will be exclusively for providing Wi-Fi connectivity to client devices. Note that both Wi-Fi bands depend upon the repeater radio for backhaul. Since the repeater radio must spend half its time providing Wi-Fi connectivity to client devices and half its time providing wireless backhaul, the data capacity of a repeater radio for both backhaul and for Wi-Fi client connectivity is reduced by 50%. When there are multiple hops, the data capacity is reduced by 50% at each hop. Thus, for two hops, the total data capacity is only 1/4, for three hops it is 1/8, for four hops it is 1/16, and so forth. Repeater mode is generally only available on standalone APs, meaning that each AP must be configured individually and cannot be managed or monitored from a centralized controller. Repeater mode is available on all EnGenius® Electron™ ECB series access points. A dedicated pair of APs, usually with integrated directional antennas (such as the EnGenius® EnStationAC), are configured to operate in WDS Bridge mode to create a point-to-point link to provide wireless backhaul. The WDS Bridge link on the remote end is connected to the remote AP via its wired Ethernet interface. From the perspective of the rest of the network, this wireless connection looks like a wired connection; in WDS Bridge mode, the wired Ethernet frame is encapsulated and encrypted in a Wi-Fi packet on one end, transmitted across the wireless link, and then de-encapsulated and decrypted on the other end. Thus, all wired Layer 2 information (i.e. client MAC addresses, VLANs, etc.) are preserved across the WDS Bridge link. Point-to-multipoint WDS Bridge links ae also readily possible, though be aware the remote links collectively share the total available airtime bandwidth of the link. This is depicted in Figure 3. Figure 3: Examples of point-to-point and point-to-multipoint networks utilizing WDS Bridge links. The WDS Bridge links are statically established, so that each WDS Bridge AP only accepts connections from pre-defined radios. WDS Bridge usually requires dedicated hardware at each remote location operating on independent channels, though some APs allow for one radio (typically the 5 GHz) to be in WDS bridge mode and the other radio (typically the 2.4 GHz) to be in AP mode to provide Wi-Fi service client devices. Best Practice: WDS Bridge with dedicated 5 GHz only access points is generally recommended for most networks requiring both wireless backhaul and high bandwidth and/or high user capacity Wi-Fi. While each hop adds latency, there is no throughput or user capacity degradation, since the point-to-(multi)point backhaul link is solely dedicated to wireless backhaul, with Wi-Fi access for client devices being handled by separate access points. For large networks consisting of multiple remote nodes, a WDS Bridge backhaul network requires its own design effort to ensure appropriate bandwidth capacity and channel utilization. WDS Bridge mode is generally only available on standalone APs, meaning that each AP must be configured individually and cannot be managed or monitored from a centralized controller. WDS Bridge mode is available on all EnGenius® Electron™ and EnStation™ access points. 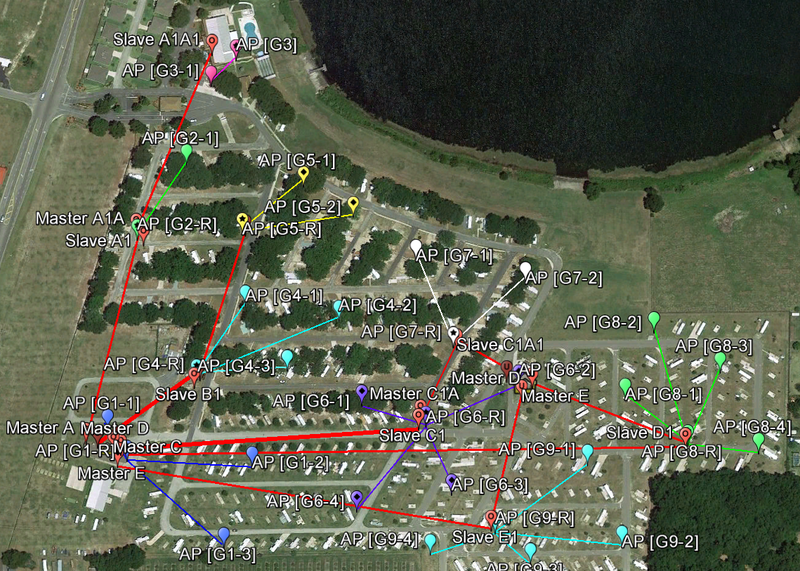 Figure 4 shows an example of an outdoor Wi-Fi network at an RV park utilizing point-to-(multi)point links to provide wireless backhaul to APs mounted on light poles. 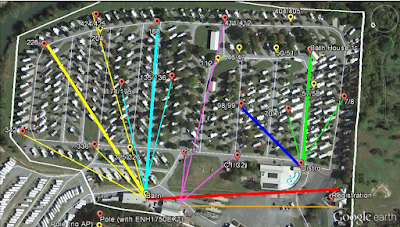 The colored lines indicate the point-to-(multi)point WDS Bridge links implemented with EnGenius® EnStationAC access points. Figure 4: Example of a wireless network utilizing point-to-(multi)point links for backhaul to outdoor wireless APs. 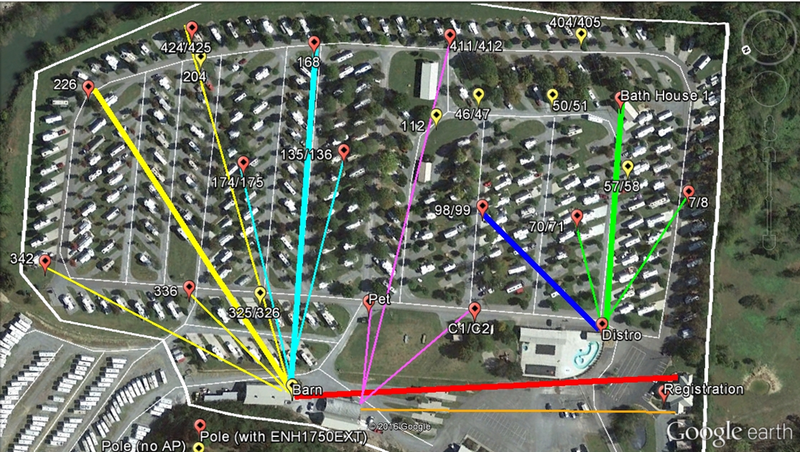 Red markers indicate the location of outdoor dual-band APs, and yellow markers indicate the location of additional light poles that were available at the property. To maximize wireless backhaul capacity, all of the WDS Bridge links utilized 80 MHz channels in the UNII-2 and UNII-2e bands (i.e. DFS channels 52-64, 100-112, and 116-128). The 5 GHz radios on the dual-band APs were set to use 40 MHz channels on the UNII-1 and UNII-3 bands (i.e. channels 36-40, 44-48, 149-153, and 157-161), so as to avoid co-channel interference with the point-to-multipoint backhaul network. In a mesh network, the AP uses its own radio to provide a wireless backhaul to other APs on the network, eventually reaching an AP with a wired Ethernet connection to the wired backhaul infrastructure and the network. In this sense, a mesh network is a network of repeaters, though mesh is designed to operate automatically and more intelligently on a large scale. A mesh network creates a set of “dynamic WDS Bridge” links, using routing algorithms to automatically calculate the most optimal wireless path through the network back to a wired root node. This makes mesh networks relatively robust to the failure of an individual AP; in a process referred to as “self-healing”, the routing algorithms will automatically calculate the “next best” path through the network if an AP in the path goes offline. Since the routing functions are done automatically within the mesh software, mesh networks are actually fairly straightforward to set up and are thus scalable to cover large geographic areas. All wired Layer 2 information (i.e. client MAC addresses, VLANs, etc.) are preserved across the mesh link. Examples of mesh networks are shown in Figure 5 (for home / SOHO environments) and Figure 6 (for larger campus-wide environments). 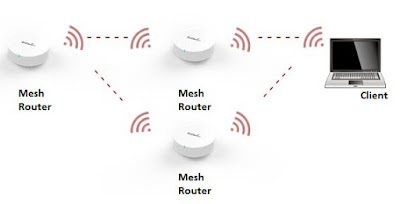 Figure 5: An example of a home / SOHO mesh network, utilizing EnGenius® EMR3000 mesh routers. Figure 6: An example of a large campus mesh network, utilizing EnGenius® EWS1025CAM mesh cameras. The mesh network control architecture can either be centralized or distributed. With a centralized control architecture, an AP controller is required to calculate and coordinate the mesh parameters for each AP. This architecture, however, limits the scalability of the mesh network to the capacity of the AP controller. In a distributed control architecture, such as the EnGenius® Neutron™ series and EMR3000 product, each AP operationally acts like a router, continuously sharing information about its connection status to its neighbors, and each AP uses this information to compute its own optimal mesh path. In a distributed architecture, an AP controller can be optional, though is generally extremely useful in providing centralized real-time monitoring of the mesh network, as well as establishing the core initial mesh network parameters, such as mesh ID, encryption, etc. Unfortunately, mesh networks have significant limitations, most notably in the loss of throughput and user capacity, which scales geometrically as the number of wireless hops increase, as well as the increase in latency, which scales linearly as the number of wireless hops increase. Accordingly, mesh networks are not suitable for high bandwidth or latency-sensitive applications. Because of these performance limitations, it is generally recommended that mesh networks be avoided unless no other viable backhaul options are available. Mesh networks should only be used in environments where providing Ethernet data wiring to access points or cameras is impossible or cost-prohibitive. Mesh networks were originally trendy in the mid-2000s, as a way of both providing metropolitan Wi-Fi coverage as well as coverage for large outdoor properties where wiring was prohibitively expensive, such as RV parks, garden-style apartment complexes, marinas, etc. While many mesh networks were successfully deployed, most of these efforts ultimately failed, especially in metropolitan Wi-Fi. Early mesh networks relied upon single-radio APs on 2.4 GHz using 802.11g. When dual-band APs were introduced, only 802.11a was available on the 5 GHz band, which still led to very low throughputs as the number of hops increased. With the wide adoption of dual-band access points with 802.11ac, there has been renewed interest in mesh for both Wi-Fi access and surveillance applications. Accordingly, several startup companies, as well as established vendors like EnGenius®, have introduced mesh Wi-Fi products utilizing 802.11ac. While the data rates of 802.11ac are approximately 25 times larger than the 802.11a data rates of a decade ago, the number of client devices and their bandwidth demands have also grown exponentially during that time. The fundamental limitations of mesh networks are therefore still the same, and thus mesh may ultimately again prove to be a passing fad. Nonetheless, mesh networks are the only viable option in many cases. The sections below highlight how to best design and deploy mesh networks, so as to maximize their performance and mitigate their inherent limitations. Root Node (a.k.a. Gateway Node): This is an access point with a wired connection to the wired switch infrastructure. The remote nodes establish wireless backhaul connections to the root node. Note that the wired connection utilized by a root node can either be (1) a direct Ethernet or fiber-optic connection to the wired switch infrastructure or (2) a wired connection to a separate WDS Bridge wireless point-to-(multi)point link on an independent channel. Remote Node: This is an access point without a wired Ethernet connection. Backhaul to the network is established via a wireless connection to a root node or to other remote nodes. Note that the remote AP still requires electrical power, so an Ethernet connection to a PoE injector is common, though the “network” end of the PoE injector may not be connected at all or may only be connected to a wired client device, such as an IP camera. Maximize the signal strength of each hop, so as to maximize the achievable Wi-Fi data rates between the mesh radios on each hop. For maximum data rates in 802.11ac, the received signal strength indicator (RSSI) would ideally be in the -40 dBm to -50 dBm range, though this is usually unachievable in practice since omni-directional antennas are typically used to create the widest field of view to neighboring APs. Data rates should be above -65 dBm for decent data rate performance between hops. Balance the load on each AP, so as to account for the number of associated client devices and the total throughput consumption on each AP. The throughput load stacks as the number of hops increase, so intermediate remote nodes that are heavily utilized with client traffic will not give as many resources to downstream remote nodes. Because of the competing tradeoffs in this optimization process, mesh networks can often result in counter-intuitive and/or sub-optimal topologies. Best Practice: The network design should cluster the APs into groups consisting of up to four remote nodes that are only one hop away from a root node. Thus, at least 20% of your APs, distributed roughly evenly throughout the property, should be root nodes. Each remote node is therefore nominally only one hop away from a root node. In the event of a failure of a root node, the nearby remote nodes will then only be 2-3 hops away from another root node. This approach generally requires creating additional root nodes, which can be done either by running Ethernet or fiber-optic cable to the particular remote locations, or by establishing dedicated point-to-(multi)point WDS Bridge links to create “wireless wires” from the root AP back to the wired network. Best Practice: Each root node should be set on a static independent channel, and each remote node should be set to “auto channel”. This is done to maximize the airtime capacity of the overall network, so that multiple neighboring root nodes do not create self-interference. The remote nodes are set to auto-channel so that they can fail over to a different root nodes in the event of the failure of their primary root node. When utilizing point-to-(multi)point WDS Bridge links to establish root nodes, these must also be on static independent channels, and thus must be accounted for in the overall channelization plan. Mesh AP Mode: In this mode, the wireless radio acts like a repeater, providing both Wi-Fi connectivity to client devices as well as providing a backhaul connection to one or more remote APs. For single-band mesh access points, this is the only operational mode available. For dual-band access points, one of the bands (typically 5 GHz) will be configured to operate in this mode. The other band (typically 2.4 GHz) will be exclusively for providing Wi-Fi connectivity to client devices. Note that both Wi-Fi bands depend upon the mesh radio for backhaul. Since the mesh radio must spend half its time providing connectivity to client devices and half its time providing backhaul, the data capacity of the mesh radio for both backhaul and for Wi-Fi client connectivity is reduced by 50%. When there are multiple hops, the data capacity is reduced by 50% per hop. Thus, for two hops, the total data capacity is only 1/4, for three hops it is 1/8, for four hops it is 1/16, and so forth. Mesh Point Mode: In this mode, available only in dual-band APs, the wireless mesh radio (typically 5 GHz) only provides wireless backhaul, and the other radio (typically 2.4 GHz) only provides Wi-Fi connectivity to client devices. Operationally, the mesh radio operates like a dynamic WDS bridge link, so while each hop still introduces latency which adds linearly, there is no 50% throughput penalty per hop, since the mesh radio is not also servicing client devices on the same radio and can be devoted exclusively to backhaul. Since Wi-Fi access to client devices is restricted to only one radio (typically 2.4 GHz), the overall client capacity of the AP is that of a single-band AP. Furthermore, even dual-band 802.11ac client devices will only be able to connect at 802.11n data rates on the 2.4 GHz radio. Best Practice: Mesh APs should generally be configured to operate in Mesh Point mode. The loss of bandwidth capacity from lacking wireless 5 GHz wireless connectivity is minor compared to the loss of bandwidth capacity from losing 50% of bandwidth per hop. This also allows for the transmit power of the mesh radios to be set at their maximum value, so as to provide the maximum signal strength between nodes without being imbalanced with the low transmit power capability of most 5 GHz client devices. In both operational modes, the overall data capacity of a mesh AP is reduced as compared to the same AP operating in a conventional configuration with a wired Ethernet connection to a wired switch infrastructure. Accordingly, a mesh Wi-Fi network will never have the same level of throughput and client capacity of a conventional Wi-Fi network. Figure 7 shows an example mesh network deployed using the Best Practices highlighted above. 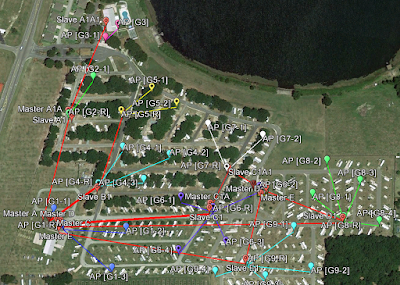 This is an RV park with 437 spaces spread across a roughly 2000’ x 1000’ area. The main distribution frame (MDF) is in the southwest corner of the property, and trees in parts of the property preclude direct line-of-sight to many locations. Figure 7: Example of a mesh network, utilizing point-to-multipoint links to create additional root nodes. The red links and bubbles indicate WDS Bridge links from the MDF to each of the root APs. In some cases, multiple WDS Bridge links in series need to be established. The point to point links are designated by Master or Slave with a letter and number index. (For example, the WDS Bridge link going between the MDF and G8-R is designated link D, with [Master D] connected to [Slave D1]). The point-to-(multi)point WDS Bridge utilizing 80 MHz channels on the UNII-2 and UNII-2e bands (i.e. channels 52-64, 100-112, 116-128). Each root AP is set to a static 40 MHz channel on the 5 GHz band in the UNII-1 and UNII-3 bands (i.e. channels 36-40, 44-48, 149-153, and 157-161).